A few years ago I was shooting in Kennebunkport on a day after a snow storm at Christmas time. I went back to some locations more than once during the day to capture them in different light. This past year when looking for an idea for my Christmas card I reviewed the images and realized I had shot the tree from the exact same vantage point, both day and night. And there was the idea! Below is a case study of how it all came together. What makes this sunrise so special ? 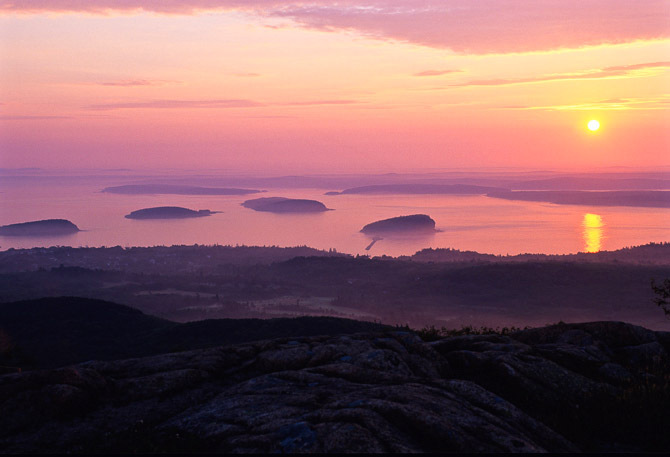 If you google “Cadillac Mountain sunrise” you will see hundreds of images. But there is something different about this one. Compare and you will notice not many of the images have the Porcupine Islands in the foreground. Why? Well because that can only be photographed for a short period of time each year. Most of the year the sun rises closer to the Schoodic Penninsula and that is what you see in the foreground. But on the first day of summer (and a few more days before and after), the sun rises in it’s northern most position which puts it further to the left and closer to the islands. This allowed me to get a tightly framed image of the islands that also included the sunrise. A few years ago I set myself a goal to get this picture. I dedicated a week to getting up there every morning until I got the shot, Sunrise on the first day of summer is the earliest sunrise in the year. It’s around 4:45 am. And you want to be on top of the mountain by at least 4:30 . By the end of the first week…no luck. Fog, clouds, rain, you name it…no great sunrise. One year later I tried again. I was up there every morning for another week, same results, They say third time is the charm, and it was. My third year started off much the same but then one morning the skies cleared! About 20 other people were there that morning but no one was more thankful than I was for that glorious sunrise! Who would have thought it would take 3 years to get the shot! But if you’re serious, sometimes that’s what it takes. I love taking pictures at twilight and sometimes stay late enough to get some stars but I never set out with a goal to photograph them until this past summer when my husband and I decided to go to “Stars Over Sand Beach” one of the popular weekly ranger talks. I decided this could be interesting to photograph. In 2009 when I first saw the work of Tyler Nordgren I was stunned that he was able to capture stars and land, clearly sharp without star trails. I immediately read up on what he was doing. The new camera technology had finally made this possible. And slowly but surely the Internet filled with everyone’s version of Milky Way photos. You can find plenty of web sites with information about camera setting etc. and of course you need a tripod, but what I’d like to share are some tips most about what not to do and what else to keep in mind! Test out your infinity focus on your lens ahead of time. If you crank your focusing ring all the way down it will go past infinity and with some lenses that won’t be sharp. Bring a tiny flashlight so you can set your focus and leave it in manual so it doesn’t change. Turn off the auto preview!!! Having the back of your camera light up after every shot will annoy others around you and be blinding to you while you are trying to view the stars. I did not think to do this and held my hand over the back of the camera as I didn’t want to take time to find the setting. Next time I will know to check that setting ahead of time and turn it off. Know your camera well enough that you can change settings in the dark! Practice at home so when you get to a great spot you are ready. Things to be aware of…its dark, VERY dark. Photographs make it look like you can see the foreground but your eyes cannot. You will need a flashlight or headlamp, and you will annoy everyone every time you turn it on, so get there early and settle in one place if you go to a public event. 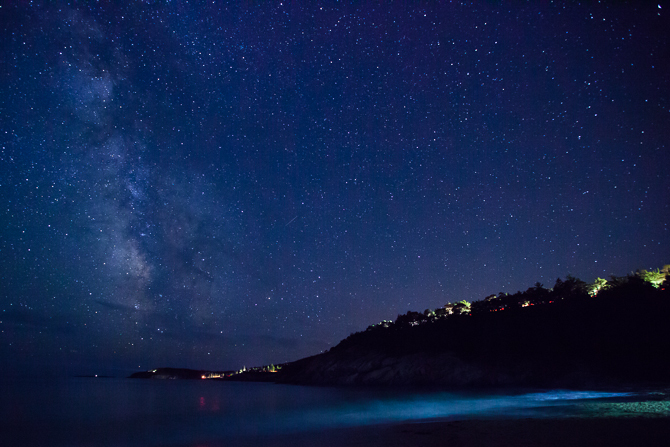 Acadia is one of the best places for night sky photography. 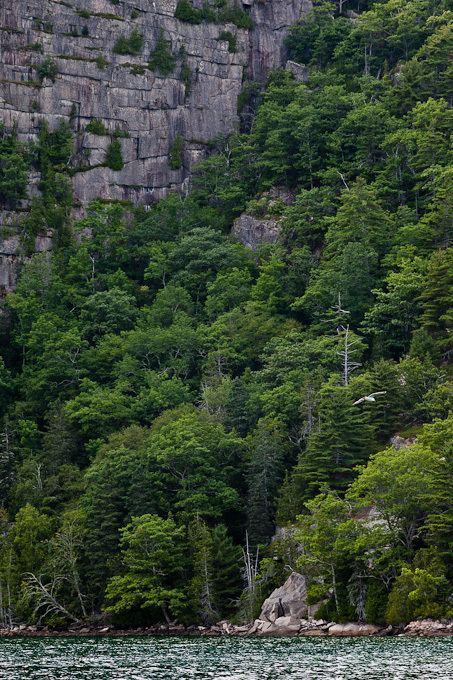 In 2008 Acadia National Park was listed by National Geographic as one of the places having dark skies and good for star gazing. 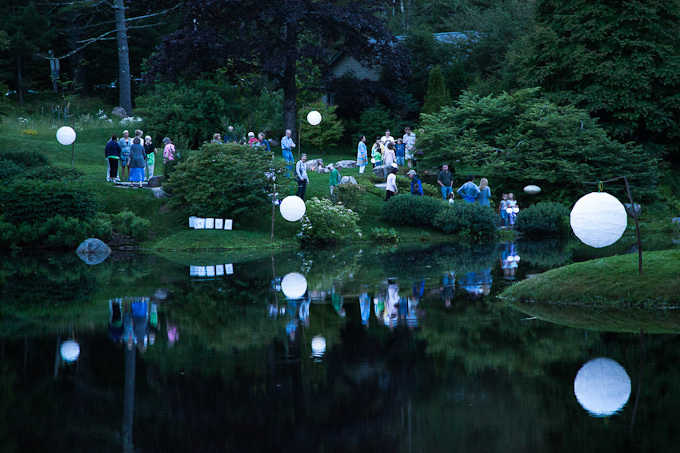 In 2009 the first Acadia Night Sky Festival was held. 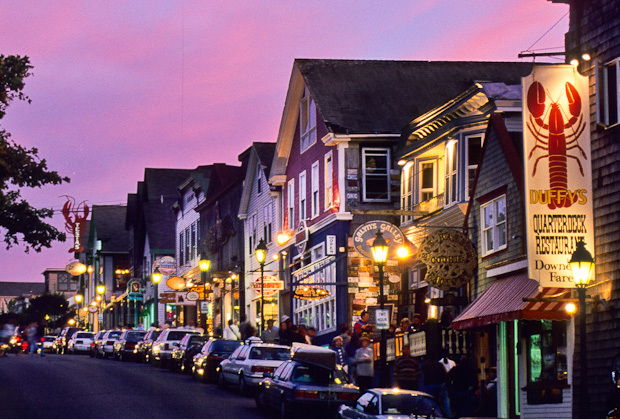 Also In 2009, the ‘Bar Harbor Dark Sky Ordinance’ was voted in by a landslide popular vote. 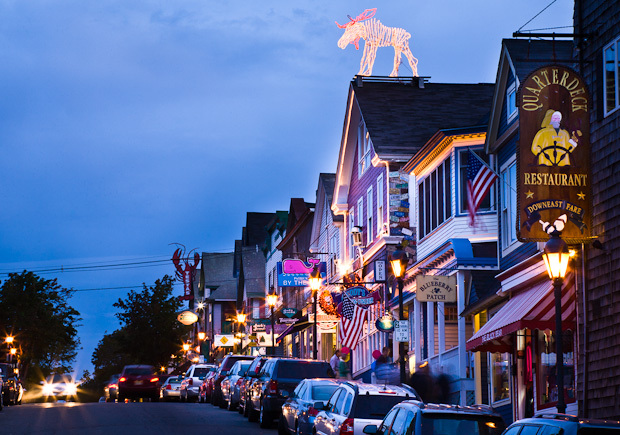 It is a local ordinance that requires, ‘night sky friendly’ outdoor lighting on all new construction in the Town of Bar Harbor, in an effort to prevent any further light pollution to our local skies. 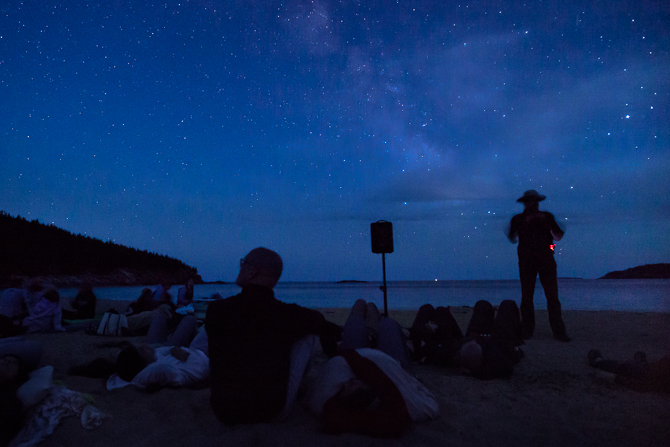 You can enjoy those dark skies anytime and once or twice a week the rangers lead the “Star Over Sand Beach” program with lots of great information. 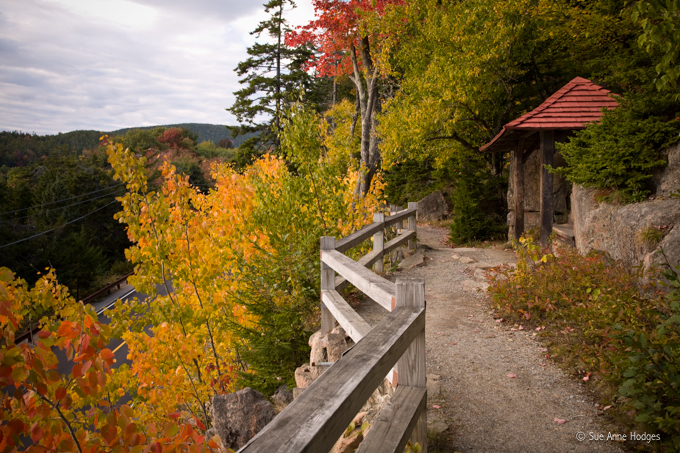 How to enjoy Acadia when the park is closed! 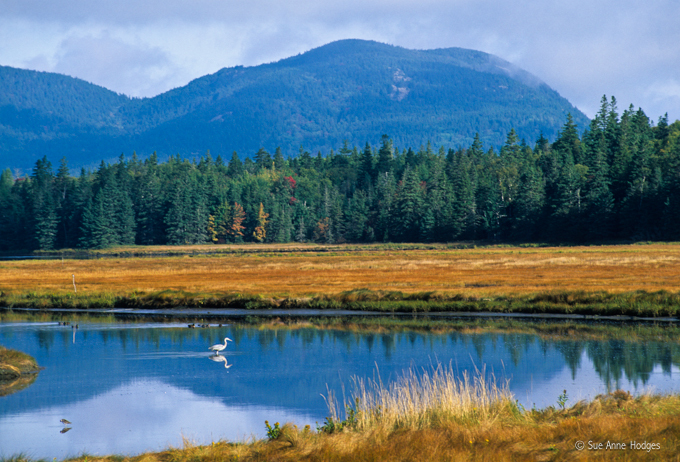 Acadia was the first national park whose land was donated entirely by private citizens. I think they would be terribly disappointed that this week you could be considered trespassing if you walk the trails and carriage roads in the park. 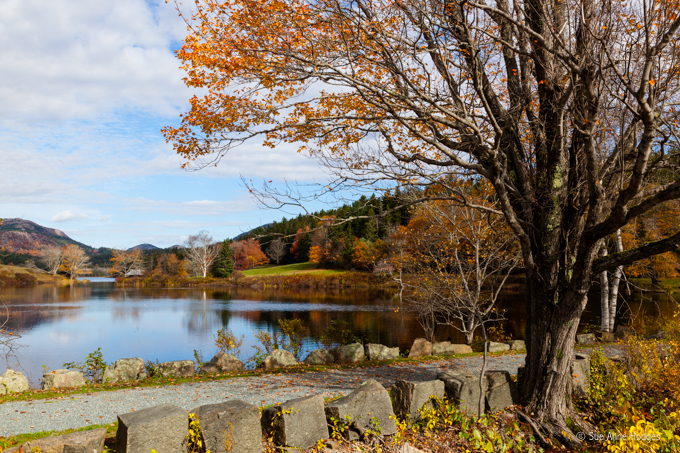 But Acadia is very interwoven with the villages and public roads and those same people who created the park, and others who followed, also set other lands aside. 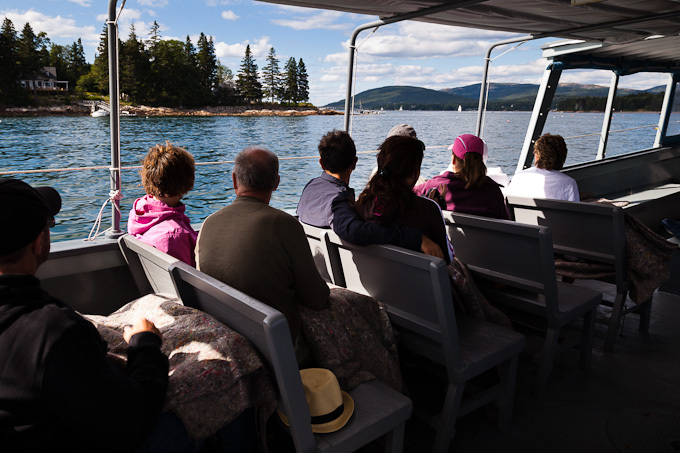 So do not worry, there is still plenty to see and you can still experience Acadia! 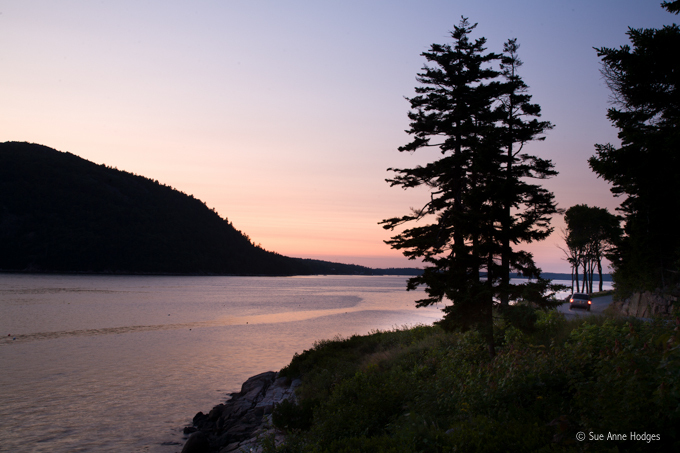 Sunrise is beautiful as seen from the Shore Path in Bar Harbor where you can watch the fishing boats start their day and view the Porcupine Islands. 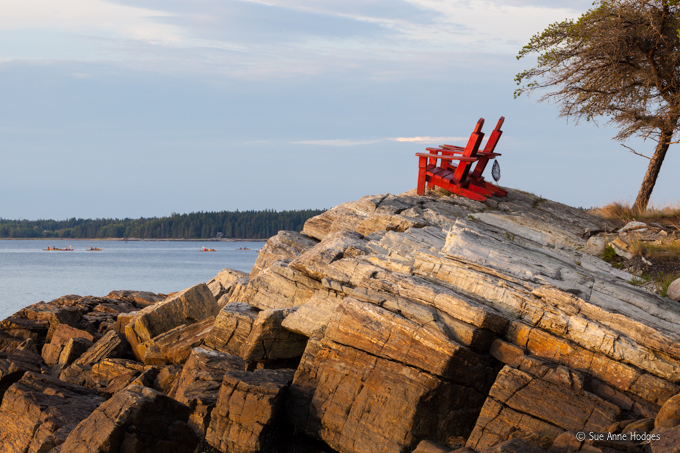 Enjoy sitting on the rocks at Blagden Preserve on the Indian Point Peninsula on the western side of Bar Harbor on Western Bay. It’s a bit of a walk from the parking lot but worth it! 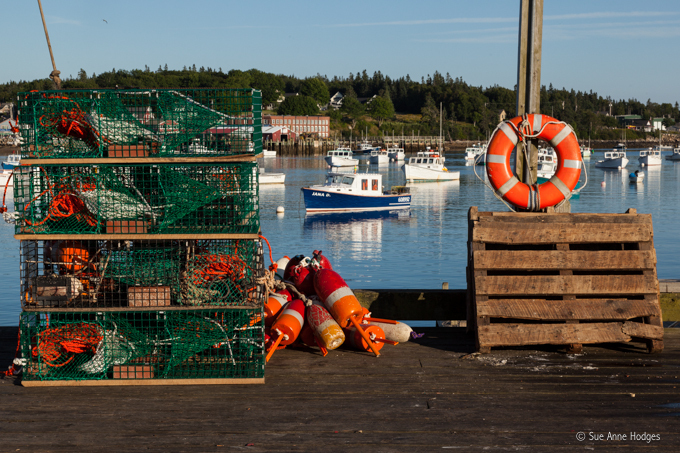 And while you’re exploring don’t miss the quaint fishing villages on the quiet side of the island. Back on the east side of the island the village of Northeast Harbor is rich with gardens and paths not inside the park but many made by or preserved by the same founding fathers of the park. 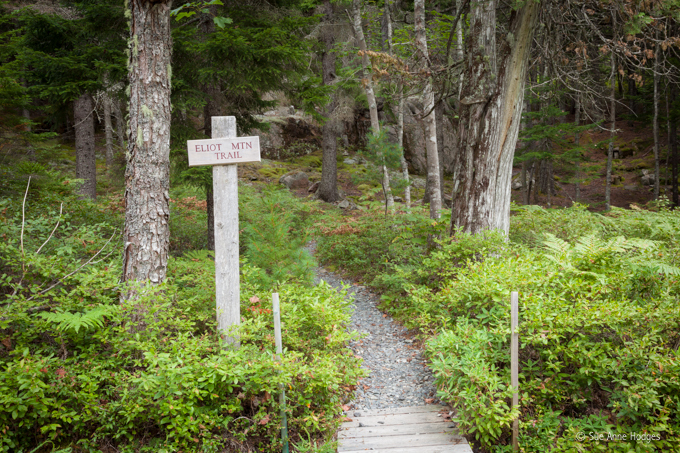 Elliot Mountain Trail is available from Thuya Gardens and other nearby trails. 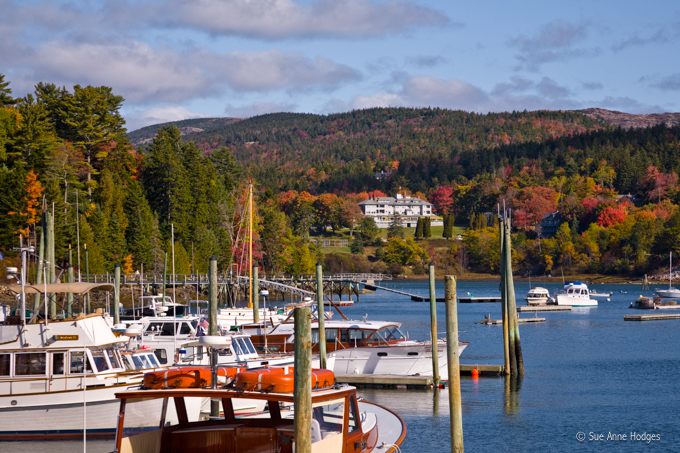 And while you’re in Northeast Harbor , see the harbor and visit the art galleries and shops in the village. 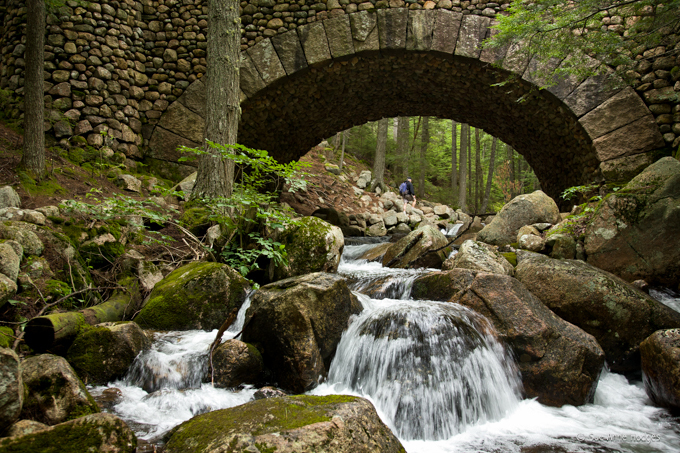 Cobblestone Bridge is always a favorite for hikers on the trails and walkers on the Carriage Roads alike. 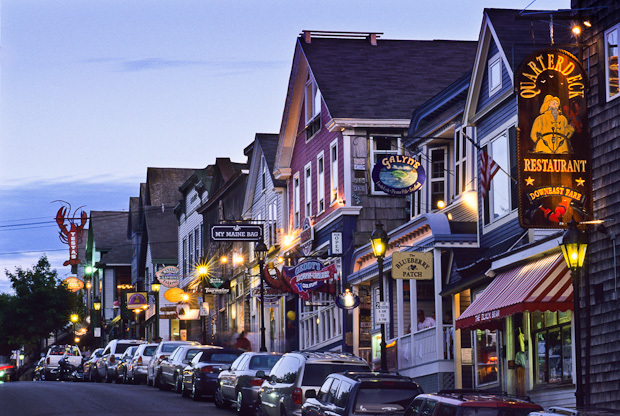 And of course Bar Harbor is still full of night time activity! 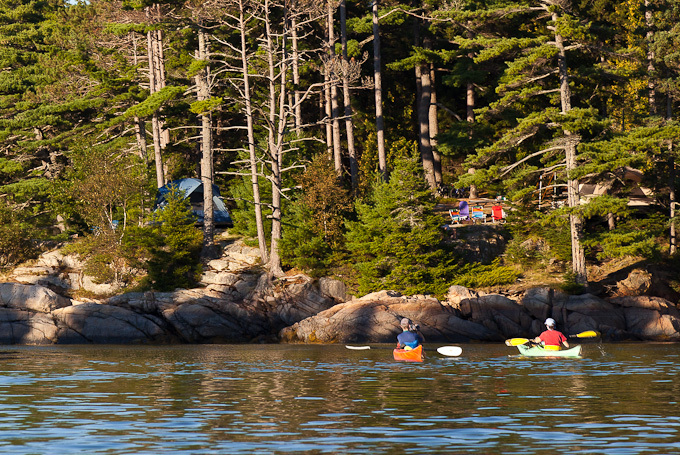 For a map and more ideas check out this post by Friends of Acadia. 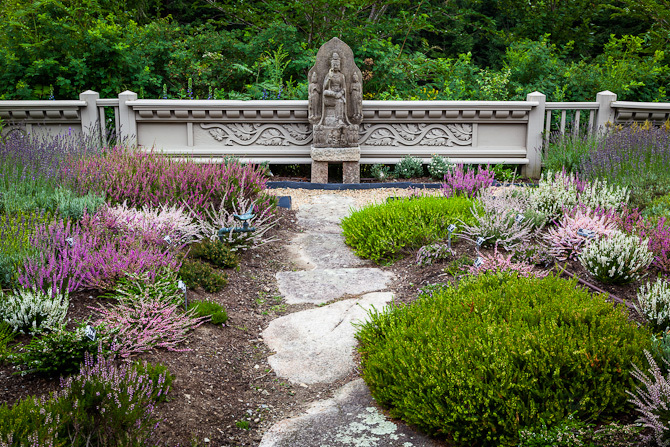 This summer I spent time photographing an MDI garden that you may not know, Garland Farm. 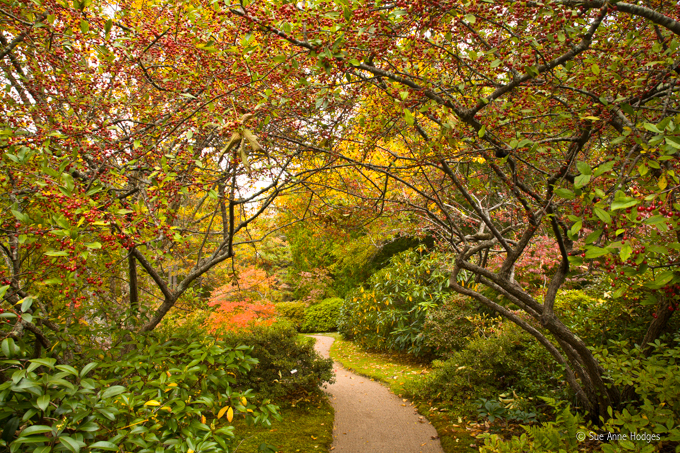 Many garden lovers visit Asticou Azalea Garden, Thuya Garden and Lodge, and the Asticou Terraces and Landing, on Mount Desert Island. 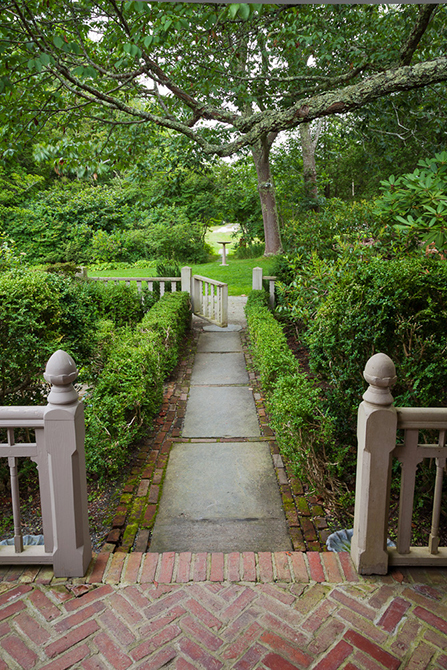 But few may realize that many of the plantings for these gardens came from Beatrix Farrand’s garden at Reef Point and that the plantings and other details at her last residence and garden at Garland Farm are in the process of being saved, restored, and are now open to the public. This summer I had the pleasure of learning more as I photographed the garden and house for The Cultural Landscape Foundation. 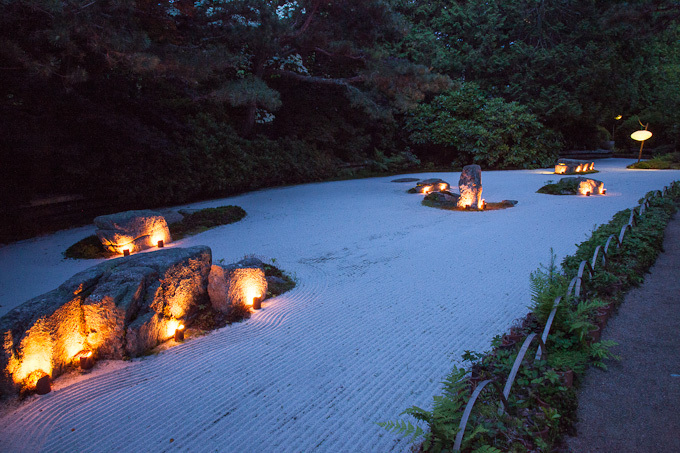 Last week The Cultural Landscape Foundation announced the 2012 Landslide®: Landscape and Patronage. 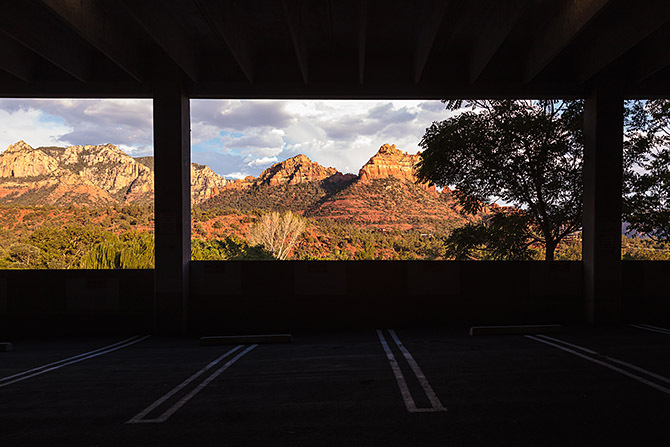 Landslide, is the annual thematic compendium of threatened and at-risk landscapes, which in 2012 focuses on visionary patrons and organizations and the sites they helped create. This year Garland Farm was part of that list. The goal is to celebrate the accomplishments and inspire new generations of patrons and philanthropists. There are wonderful stories and histories to be discovered at Garland Farm. 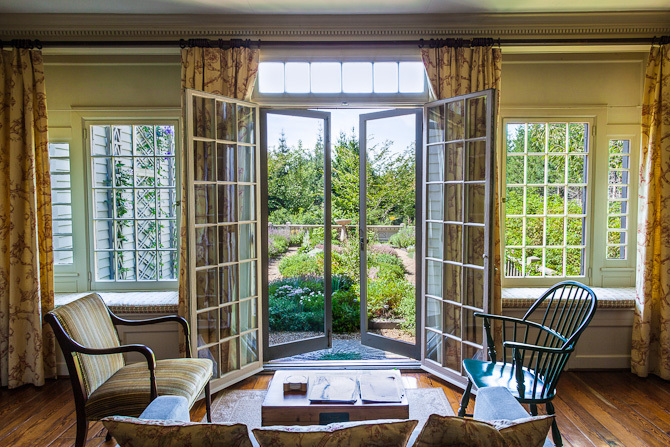 As the last home designed for an aging Beatrix Farrand, she designed the garden as a garden she could enjoy for the view from her room. In a day before assisted living was available, as she downsized, she created a home for herself surrounded by things she loved most, especially her garden. I have many more images from both the house and gardens to be posted in the near future. I am showing “Boatscape#1”, but I am most excited about getting to see the work of my fellow faculty members. I have had a sneak peak and the show is fabulous! And if you go make sure to take in the Stairway Gallery featuring Fran Osborn-Blaschke’s “brave paintings”, and “Ruby Hazzard Gets Mugged” , 10 NEW black and white photos by Ruby Hazzard. 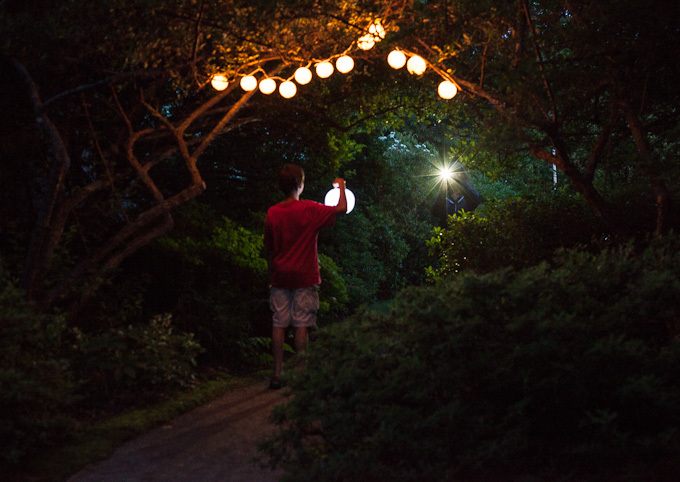 On July 2 the Asticou Azalea Garden had an evening lantern stroll similar to evenings hosted by Charles Savage in the 1960s. 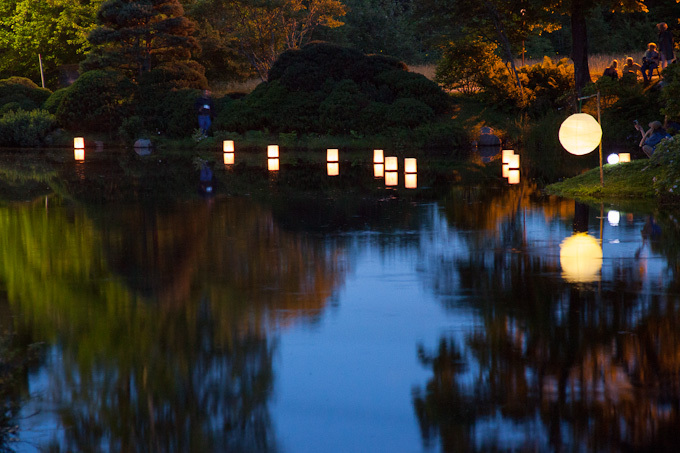 The last time such an event was held in the garden was in 2008 in celebration of the Garden’s 50th anniversary. Monday night there was a great turnout and the weather was perfect ! The stroll began at 8 while there was still some daylight and continued, as it got darker, until 10 pm. 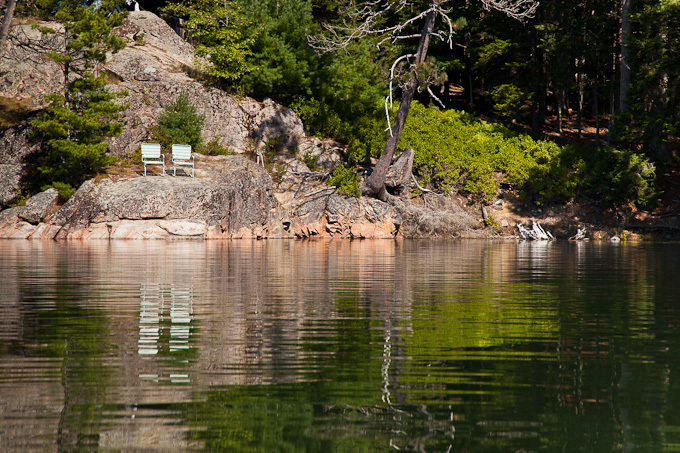 I have photographed along the shores of Somes Sound many times over the years but last summer when Down East magazine asked me to shoot Somes Sound from the water I set off to explore a whole new view. 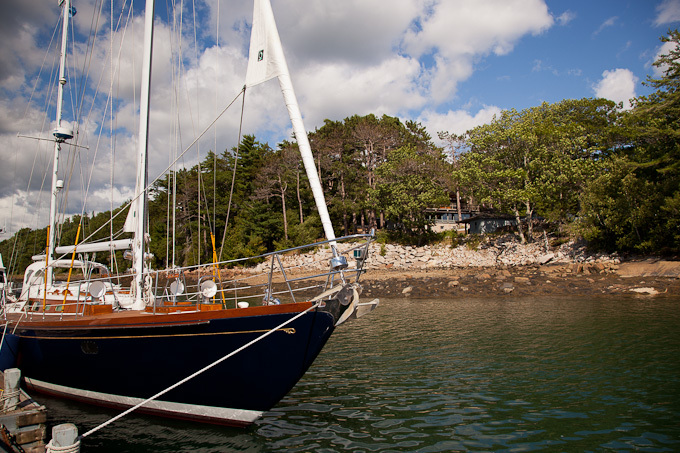 Though I had seen some parts of the area by boat in the past, I can now say that I have photographed the Sound from, a tour boat, sail boat, a lobster boat, and in Somes Harbor by kayak. The author focused the story on sailing but if you don’t sail or own a boat, you can still enjoy getting out on the water. There are many tour and rental options available all over the island. Below are a few shots not in the story and some info to go along with them. Looking toward the Northeast Harbor side of the Sound (below) you can see the swim club and houses that dot the shore. Closer up you can see details of homes, boats, and see the cars along Sargeant Drive where most people take in the fabulous views by land. 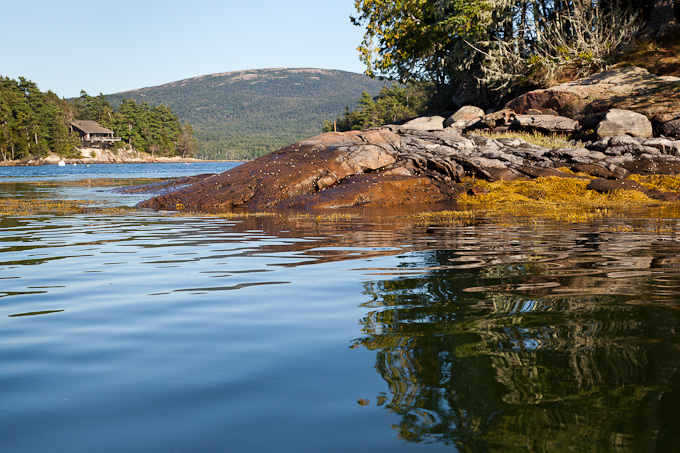 That said, here are some images taken while kayaking in Somes Harbor. I love kayaking around all the little islands and coves! 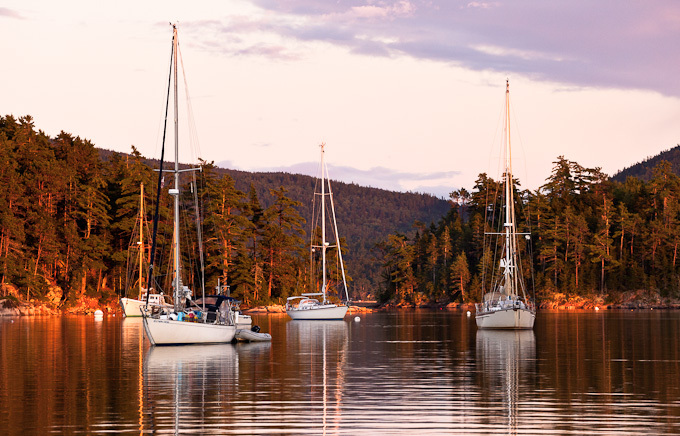 At the end of the day late light warms the shore and the boats in Somes Harbor create a peaceful scene. 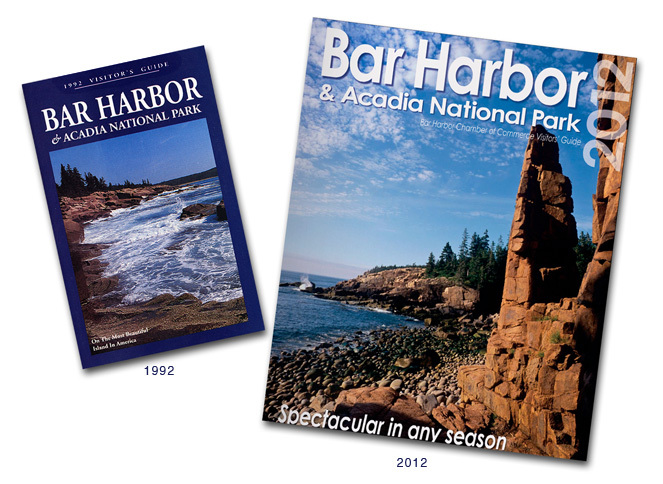 The 2012 Bar Harbor Guidebook just came out and I realized that it has been 20 years since I began working with the Bar Harbor Chamber of Commerce. I am so happy that they chose one of my images to grace the cover on this special year! 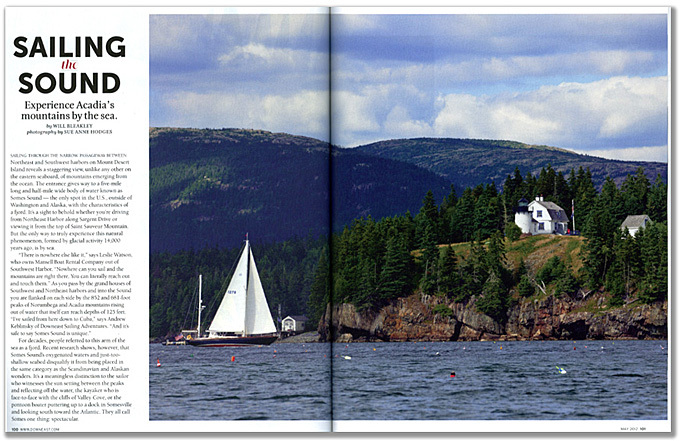 In 1991 I was already a professional photographer working in an advertising studio but my personal work was primarily focused on Mount Desert Island and Acadia National Park. Realizing that I had begun to produce a large body of work, I contacted the design firm, M & M Graphics, who produced the Chamber of Commerce book. M Louise Shaw, owner and designer, told me they usually took their own pictures but she’d be happy to show some of mine to the chamber too. She did and the chamber members chose one of mine for the 1992 cover. That began my relationship with M&M Graphics and the Bar Harbor Chamber of Commerce. A few years later when Louise went on to open her own gallery http://www.malouegallery.com I began working directly with the chamber. I have worked with many wonderful people there, starting with Risteen Masters and now with Chris Fogg, Executive Director. I also work closely with the design firms too, to provide photos that meet their needs. I am constantly shooting new images on MDI, and no matter how much I have shot I always dedicate one week every year to shooting specifically with the Chamber of Commerce in mind. I am aware of new store fronts, and new park improvements, that need to be photographed. 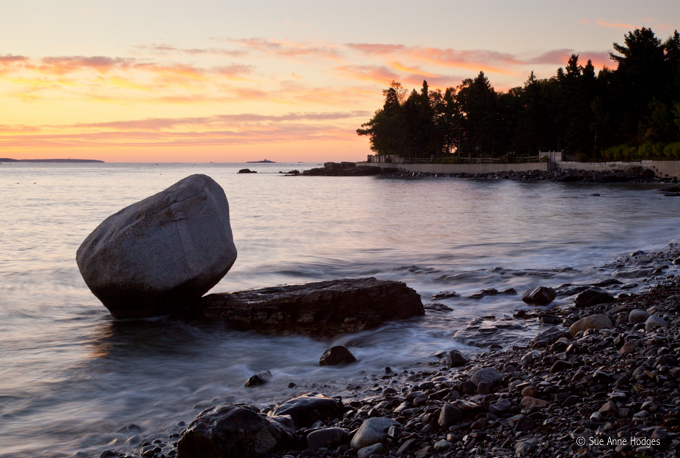 On that week I am up and shooting in Bar Harbor before sunrise every morning and keep shooting into the evening every night. This allows me to provide new and up to date images every year. 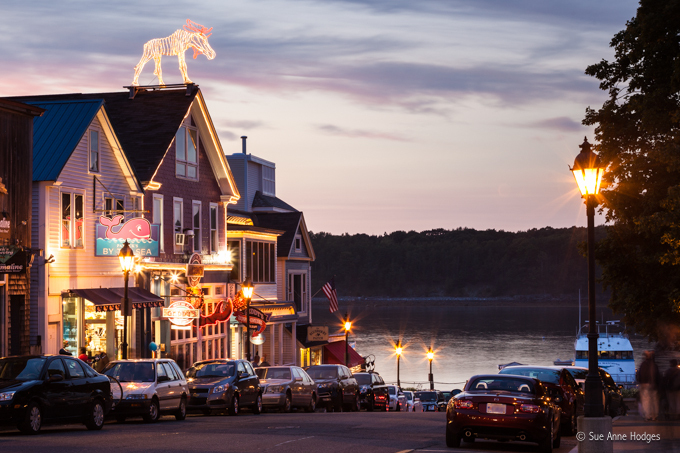 And of course, if you’ve been in Bar Harbor recently you know the Quarterdeck is gone and it’s time for a new photo as soon as the construction at the corner is complete.